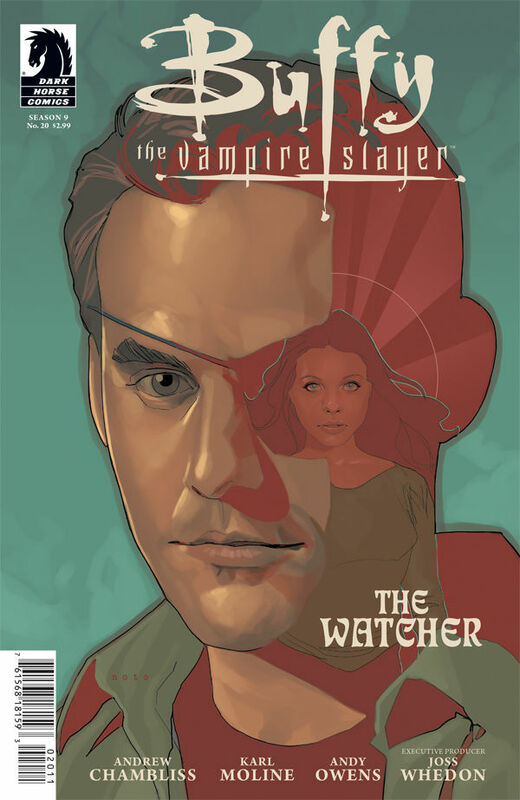 Buffy takes a back seat this issue, as the storyline focuses more on Xander and his conflicting emotions over Dawn’s health. This man who has stood beside his friends, who has sacrificed so much, is at risk of losing the happiness that he’s built. How far will he go to ensure that Dawn is safe again? Xander has anger issues, and I can’t fault him for that. He’s lost his former fiancée, he’s lost his eye, he’s lost so much in his life that can be traced directly back to his involvement with Buffy. And now, he’s about to lose Dawn for the exact same reason. And he’s become the mouthpiece for many fans who are sick and tired of Buffy’s attitude about the whole Twilight thing. She is at fault, she caused the world to go to ruins, but at no point does she own up to that in a satisfactory way. At times I wish Xander would just slug her in the jaw to help knock some sense into her, but that’s not going to happen. Instead, we get angry Xander letting his emotions build up inside him until he’s at risk of bursting. He’s not going to just turn around and forgive Buffy, as she hopes. No, he’s going to carry that grudge and lay it all on her if Dawn dies, as he rightly should. He’s built a life without Buffy. He’ll be damned if he lets her waltz in and try to play the hero when she’s the reason it’s all going to be taken away from him. And those heavy emotions are what will be used against him when Severin kidnaps Xander. Both he and Xander had their loved ones taken away from them, all because of Buffy. But Severin has a plan, a way to make the world better. It’s not about killing Buffy, since Xander would never go for that even if he’s furious at the Slayer. No, Severin wants to simply rewrite history. He has the ability to travel through time now, so why not just turn back the hands of time and stop Twilight from happening? Magic won’t disappear, Severin’s girlfriend won’t be turned into a zompire, and Dawn won’t be at risk of fading away. There’s only one component of his plan that he can’t do alone, and that’s where Xander comes in. 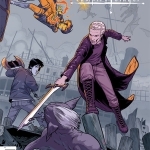 If he can get his hands on the Vampyr book that Giles gave Buffy, then all their troubles will go away. Seems like a good plan, one that Xander is convinced to go along with, but what have we learned from all our history? When something sounds too good to be true, it probably is. The question is just how messed up will this plan get before things get put right again? We’ll have to wait and find out.